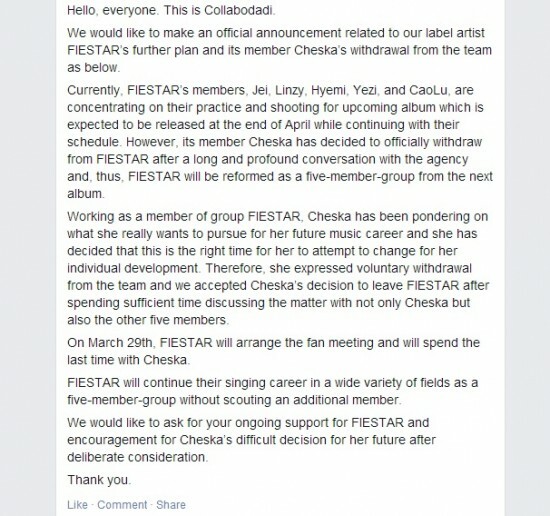 Unfortunate news has come for FIESTAR fans as Cheska's leave from the group has been officially announced through the group and agency's Facebook page. Collabodadi updated fans in both Korean and English about the group's future plans as well as Cheska's decision, which you can read below. We wish Cheska the best of luck!